Greatly reduced, Brooklyn is a detached bungalow on the edge of St Peter Port and close to many nearby conveniences. 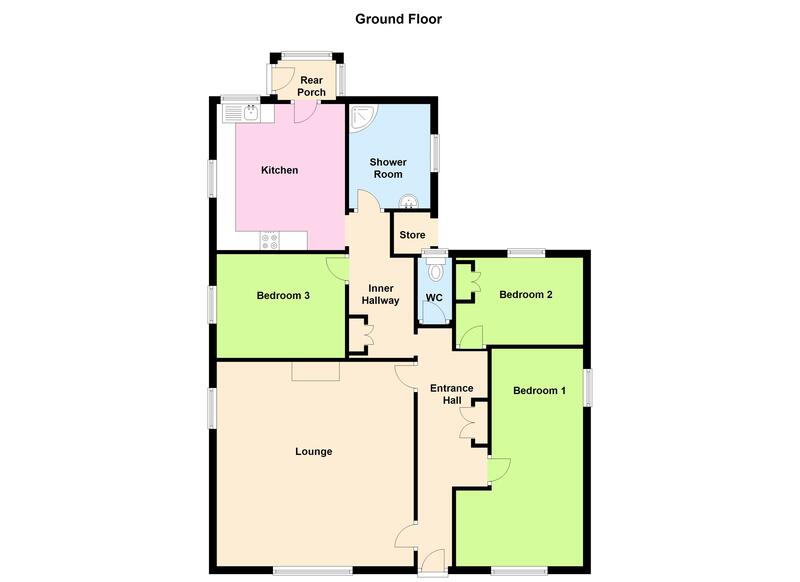 The property benefits from a new roof but does require updating and possible re-allocation of some rooms but potentially could provide up to four bedrooms. The accommodation currently provides two bedrooms, one of which could easily be divided into two small doubles, a large lounge/diner, dining room (possible fourth bedroom), kitchen diner, shower room, wc, rear porch, garage and ample parking. There is good loft storage and the further possibility of converting into habitable accommodation subject to the usual regulations. Overall this property has huge potential and now very competitively priced and it is anticipated to be of interest to many. Call Cranfords today on 243878 to book your viewing. Mains water, drainage and electrics. Oil fired central heating. Floor coverings, curtains/blinds and light fittings.